Some people want to be worldly and spiritual at the same time. In the initial stages it is a good idea to pursue both aims and live a fuller life. You cannot abandon the world and your duties and obligations. At the same time, you cannot ignore your long term spiritual goals. Therefore, being a spiritually worldly person is the right option for people who cannot easily give up their worldly interests or renounce their desires. However, you cannot continue on this path forever. At some point in your life, you have to choose between the two. Unless you are exceptionally driven from an early age to pursue spirituality due to despair or restlessness, you should come to it in stages rather than rushing into it. If you are drawn to the world, be with it. It is a better choice because you may have karmic debts to settle or you may have to purify some hidden aspects of your mind and body which you may not be able to do without being worldly. Both are important to cleanse your karma. Liberation is not possible without resolving your karma, for which worldly life is an unavoidable opportunity, provided you know how to arrest its further formation. In the early stages of your life, it is better to follow your natural instincts because it helps you to manifest your destiny as it was intended to be at the time of your birth. It is your natural destiny, unadulterated by your current choices and preferences, which leads you in a certain direction and unravels your karma of previous lives. Follow it, and let it show you what you intended to achieve in this life. Exhaust your initial enthusiasm and exuberance for the attraction of the world, and let your mind see the reality of that side of life also before you are naturally drawn to the deeper aspects of spiritual life. The unraveling of your preordained destiny as it was intended, which has been described above, is what the wheel of Dharma aims to manifest in case of each living being upon earth. It points to the need for prior preparation and transformation on the world stage before one can qualify for the spiritual path. Both Buddhism and Jainism recognize this imperative and the difficulties involved in practicing renunciation and monasticism. Hence, they distinguish between lay followers and advanced practitioners, and prescribe rules for the former so that they can prepare themselves to enter the next stage. There is no such clear demarcation in Hinduism. However, the idea is hidden in the four stages of human life, according to which a person shall turn to spirituality after a certain age, at the time of Vanaprastha (life as a forest dweller), when he has retired from active, householder’s duties and exhausted his worldly pursuits. 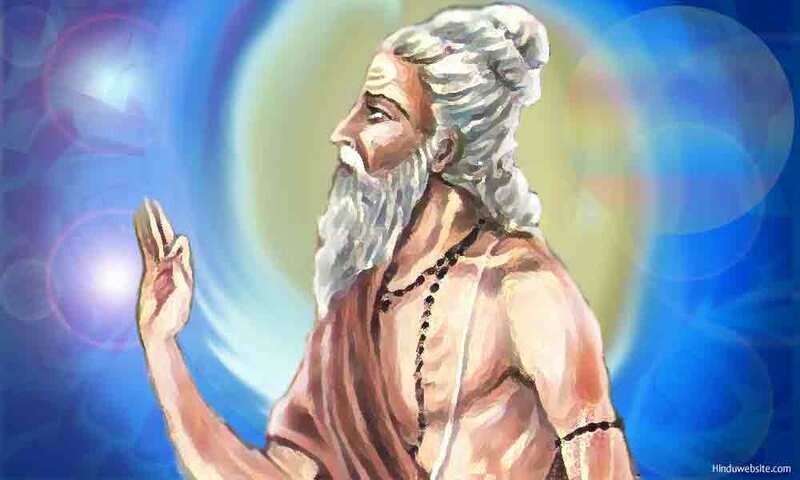 The first two stages, namely Brahmacharya and Grihastha are considered preparatory. During this period, you acquire knowledge, perform your duties and obligations and render service to others and to God, the upholder of Dharma. When he relinquishes the duties of householders, he enters the stage of Vanaprastha or the life of a forest dweller. In this phase he has to lead a solitary life and concentrate upon studying the scriptures and acquiring advanced, spiritual knowledge to cultivate right thinking, discernment, and attitude. With practice and persistence, he feels comfortable with himself, and with his loneliness and spiritual goals, and mentally prepares himself to pursue the next stage of renunciation. In the fourth and final stage called Sanyasa, he renounces everything and begins the life of a committed renunciant, who shuns using any worldly comfort and eating cooked food so that he can gradually loosen the body and drop it off. The end of that life is supposed to be the end of all suffering. Imagine, how difficult it is to live that life and reach that stage. The longing for life is the strongest of all desires. All beings are driven by the passion for life. To go against it and negate your very life and existence, you require a lot of prior preparation and firmness. Hinduism on how to prepare for the problems of spiritual life. Hindu scriptures contain ideas, which are helpful to prepare your mind and body for the ordeals of spiritual life, as part of a way of divine centered life that is expected to culminate in final liberation. They are reproduced below. 1. Do not abandon the world. This is the first important lesson. You cannot shun the world and become a renunciant, unless you are born for the purpose and know it intuitively. You are born here because you are meant to be. Normal people are required to live with the world as a learning opportunity. They have an obligation to manifest the will of God, living in the world, to ensure its order and regularity and their own liberation. 2. Honor your duties and obligations. This is connected to the first. Whether it is in material life or in spiritual life, you cannot be selfish. You are here because you have a role to fulfill, and only you can do it. The scriptures suggest that you must perform your duties and honor your commitments even when you are inclined to purse liberation. They prescribe karma-sanyasa-yoga to perform your actions, without the desire for their fruit to escape from their consequences. 3. Acquire right knowledge. This is very important. This world is ruled by ignorance, which is the source of many evils. Without right knowledge you will remain confused and deluded about your true identity, purpose, the nature of this world, and your relationship with it. The scriptures suggest that self-study (svadhyaya) is the best approach to acquire knowledge. Read scriptures, sacred texts and contemplate upon the ideas that are present in them to enlighten and educate yourself. 4. Purify your mind and body. You cannot truly practice spirituality or qualify for liberation without being pure. Hence, you have to practice restraints and virtues and follow the righteous conduct as part of your self-purification, which will lead to the predominance of sattva and suppression of rajas and tamas. In this regard yogic practices such as pranayama, concentration, and meditation are very effective. Know that in spiritual life your chances of success are directly proportional to your physical, mental and spiritual purity. 5. Cultivate detachment and renunciation. It is the first step to the successful withdrawal of your mind and senses and to attain liberation. To practice them you do not have to give up the world. However, you have to reduce your attachments, overcome likes and dislikes, and learn to let go of things. They have to be practiced at the mental and physical level, so that they become deeply ingrained in your thinking and behavior. They are also vital to your success in all other spiritual practices. 6. Serve others. In Hinduism the virtue of service to others is well exemplified in the ideal of five daily sacrifices. Yet, not many people really practice it. Human beings are not naturally inclined to serve others, since they are prone to selfishness, greed, envy, pride and anger. You can overcome them by practicing charity and selfless service. Seva or service is an important spiritual practice that leads to detachment and renunciation. Charity (giving) is a major component of it. The scriptures affirm that service to the humanity is service to God. 7. Practice devotion. True devotion manifests in you when your practice reaches perfection. It is a sign of progress and nearness to your goal. True devotion is not affected. It is a culmination of right knowledge, right actions and right living. Many people stop visiting temples or worshipping their family deities as they become interested in spiritual subjects. It may not be a good idea, since devotion can help you as a purifier and facilitator by strengthening your faith and helping you find right people and right guidance at the right time. Rituals can help you cleanse your karma and strengthen your faith. Whatever may be your approach and understanding, you must know that at some stage in your life you have to choose your priorities and what you want to do with your life. If liberation, peace, and happiness are your aim, you should pursue spirituality. With a few adjustments to your current lifestyle and daily priorities, you can make it possible. You can choose where to begin, depending upon which knowledge you prefer pursuing. As the Bhagavadgita declares, there is no loss on the path of liberation. If you have failed and faltered in the middle, you can always begin afresh from where you left. As an idea, spiritual life is inspiring, but when it comes to real practice, only few people can successfully face the hardships and continue the journey. Because it is tough and painful, many people become caught in the illusion of spiritual activity rather than engaging in serious practice to achieve self-transformation. The same is true nowadays with religions also. Many people spend their time defending their faiths and talking about them rather than practicing them and manifesting their highest ideals. It is true that religions are the means but not an end in themselves. They are useless, unless you practice them. If you want to pursue anything, you must have the right intention (sat-sankalpa), right resolve (sattva dhriti) and right faith (sraddha). When you have these three, right conditions manifest in your life in their own timeframe and bring your actions to fruition.